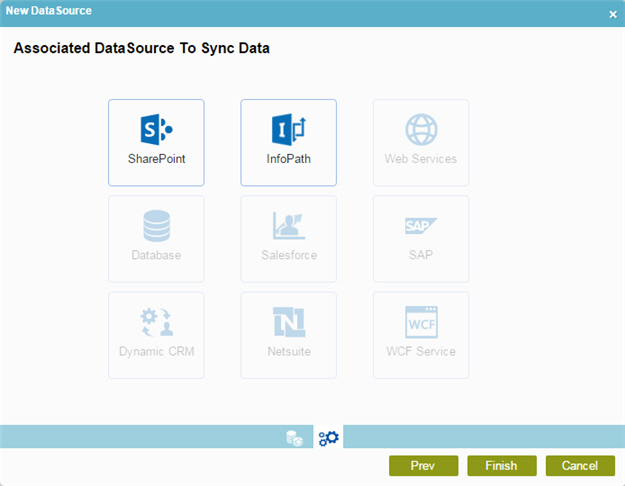 Lets you select the data source type to synchronize. Click Properties > Agile Properties . On the Properties screen, in Associated Data Source field, click the Ellipses button.